My tulips are up. I’m especially happy with these because they are the ones which I’ve dug up and chilled each year for the last 3 years. I know this because all the new bulbs are still small leaves, whereas these red ones are all blooming. I think this is because my fridge has glass doors, so they probably had more light than they should have had during the chilling process. 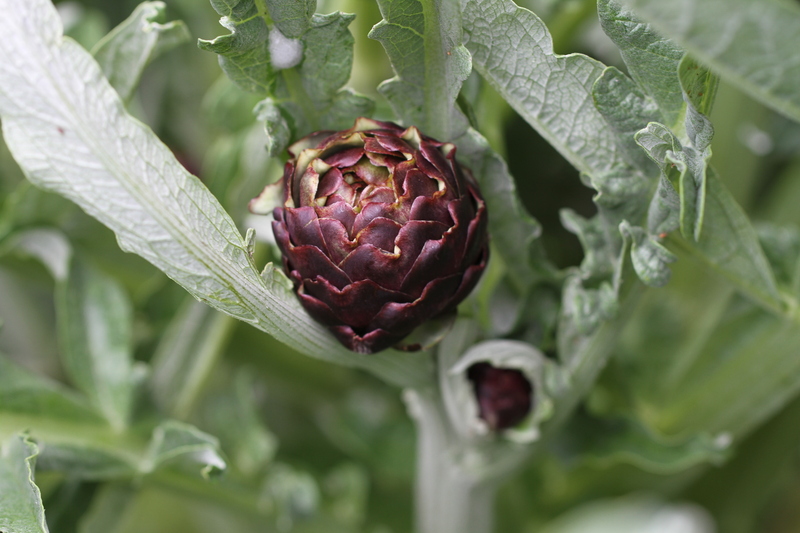 The artichokes are in full swing now, with enough buds for a good feed each week. We started out with Green Globe and Purple de Jesi seedlings. 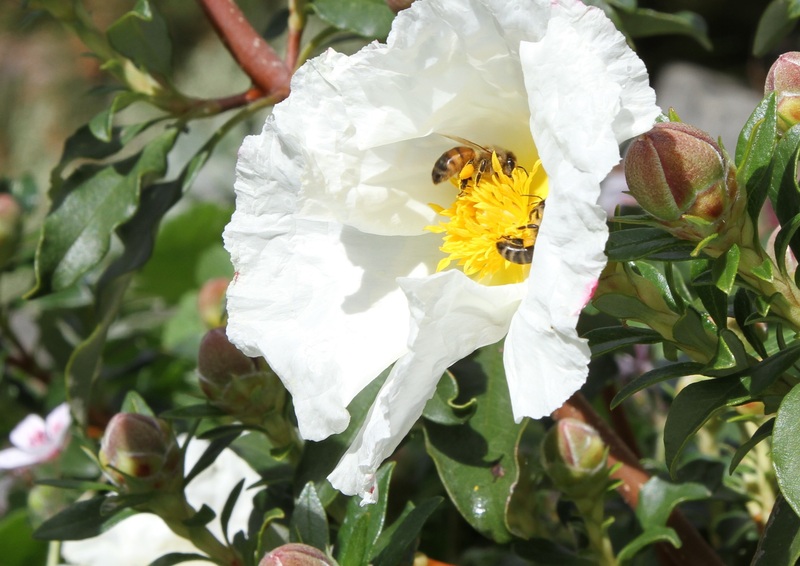 One of the flowers which was left for the bees turned into a flower full of seedlings – they all just germinated while still in the flower. We planted these and they must have been purple – there don’t seem to be any of the green ones at all anymore. I love to see the bees on the flowers we leave. Sometimes 6 or 7 bumblebees seem to spend the night on a flower – such an extravagant bed.